Are you looking for a beautifully crafted new or preowned Ford Explorer near the Edmond, Oklahoma City or Guthrie areas? Vance Country Ford in Guthrie, Oklahoma is just a 10 minute drive north of Edmond and a 30 minute drive north from downtown Oklahoma City on I-35. 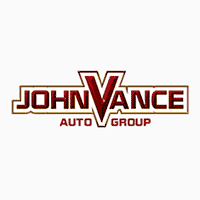 Vance Auto Group has made it their mission to make sure their customers are satisfied for over thirty years now. When you are shopping for a Ford Explorer, it is worth the short trip to experience the friendly helpful honest service we’re known for. We offer small town service with a big city inventory. The Explorer looks the part with its signature LED front and rear lighting, stylish grille and luxurious detailed interior. It seats up to seven passengers comfortably with plenty of room for extra cargo with its flexible seating. Load up the kids, your hiking gear, sports equipment, luggage or latest project one day and drive in quiet style to work or on a road trip the next. The Ford Explorer meets all your needs for luxury and function. You can even utilize the Explorer’s available Third Row Power Fold seating which folds down the seats to floor level at the touch of a button. The highly rated Ford Explorer offers 16 MPG in the city and 22 MPG on the highway. Or perhaps you like to explore off road. The Terrain Management System is available on the Intelligent 4WD System and lets you shift into the setting to match mud, grass, sand, gravel or snow so you can drive with confidence. The Explorer can offer many available options such as roofrack side rails, impressive towing, hands-free foot-activated liftgate, Hill Descent Control and a 180-degree camera with a split screen view. Safety is always a priority with the Explorer. That’s why it has dual sensors, Advance Trac with Roll Stability Control, which senses when conditions are dangerous and helps you maintain control for the road conditions you are driving. There’s so much more to discover about the Ford Explorer. Come experience the beauty, engineering, comfort and technology of the Explorer at Vance Country Ford in Guthrie, Oklahoma. We’re not pushy, just small town neighbors wanting to help you find the new or used vehicle for your unique needs.